The history of LEUCHTTURM publishing house began in 1917 with the founding of the KABE publishing house by lithograph Paul Koch in Aschersleben, in the state of Saxony-Anhalt, Germany. KABE is an abbreviation of Koch and Bein, Bein being the name of Paul Koch’s business partner. The company still produces KABE stamp albums today and also makes coin albums under the Komet brand. Paul Koch had to sell his first company in the 1930s. After the War, Koch succeeded in founding a new company in Hamburg in 1948 – LEUCHTTURM publishing house, which also produced stamp albums. With its new owners, KABE-Verlag - the publishing company - managed to survive World War II. After the company came under state ownership in 1953, the owners fled to Goeppingen and rebuilt their company there. KABE and LEUCHTTURM, which were both founded by Paul Koch, worked closely together in the field of production and development of stamp stock books and pre-printed albums, as well as with the purchase of material. In the process of doing this, they even agreed on a mutual share in profits. When, in the nineties, the question of a successor for the KABE publishing company was unable to be solved from within its own ranks, merging both companies seemed like the best thing to do. Both publishing companies, that had once been founded by Paul Koch, have been united since 1997. LEUCHTTURM and KABE were originally mainly involved in the development of pre-printed stamp albums, thereby creating the basis for a solid framework as the partner to collectors from around the world. Even today, the LEUCHTTURM specialised editorial office is deemed exemplary in planning pre-printed albums. 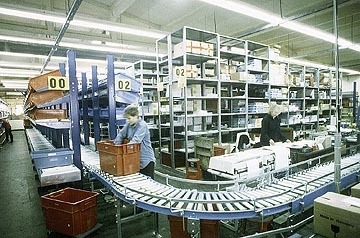 The production and sales programme was continually extended. Consequently, LEUCHTTURM is still the largest worldwide manufacturer of stock books today. An extensive range of coin accessories were included over the course of the last decades. Nowadays, LEUCHTTURM is the world’s leading company in collecting systems for stamps and coins. In addition, LEUCHTTURM has now been offering a continually expanding range of filing and archiving systems for several years which are distributed via office supplies and stationer’s. This is all achieved with our workforce of approx. 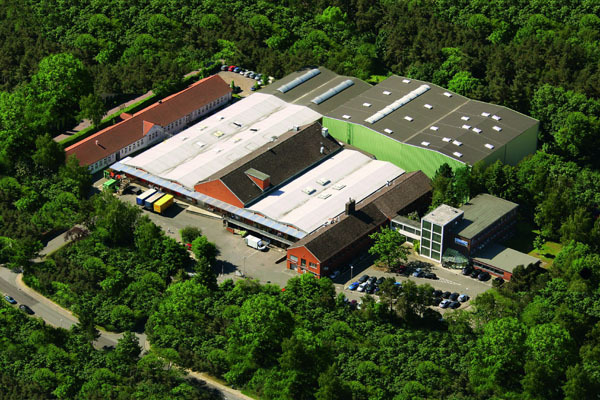 250 motivated and competent staff based in Geesthacht near Hamburg and the many LEUCHTTURM customers in Germany and from around the world, who have remained loyal to us and our products. LEUCHTTURM - the world famous brand. Since its origins in 1917 LEUCHTTURM has developed into one of the leading companies in the world for collective systems of philatelic and numismatic accessories. More than 6.000 articles carry the brand which has become word-wide the brand for high-quality standards: LEUCHTTURM. The satisfaction of our customer is in the centre of our concern. LEUCHTTURM is not only known because of high-quality products but also for its extensive philatelic competence in the elaboration of albums and support to collectors. "Everything, except for stamps and coins" is the maxim of our company. Collectors receive all information and the necessary accessories from LEUCHTTURM! We feel obliged to two principles: the tradition and innovation. Philately and numismatic are hobbies with long tradition and rules. For that reason, collectors expect from us to stick to proven products and tried aund tested systems. The collecting of stamps and coins is always changing: new collective objects appear and collective habits change. LEUCHTTURM reacts to new trends with products that correspond to the wishes of customers. The three pillars of success. By investing in these core areas we develop the LEUCHTTURM competence consistently. The development of the stamp albums, our thematic coin albums and our catalogues is the task of the LEUCHTTURM editorial staff. Our staff consists of experienced specialists who are higly valued by collectors, postal administrations and other catalogue publishers. The editorial staff receives daily information from around the world which are viewed and processed. Extensive archives and technical library are available for research as well as international technical periodicals and correspondence to traders and collectors. All material for over 140 collective areas are put into archives which are updated continuously. We produce the largest part of our products on our own premises and have a direct influence on the quality, starting with the purchase of material. Our suppliers guarantee that all stamps and coins which are stored in LEUCHTTURM products are well-protected! By flexible planning, production and aimed application of special machines we can fulfill almost every wish and react immediately to the market requirements. The basis of our sales department is the co-operation with our customers. To be close to you, we apply different sales strategies. In the home market, Germany, LEUCHTTURM maintains direct relations to leading stamp and coin dealers, department stores, as well as stationary shops. In Germany, France, the Netherlands, Belgium, Luxembourg, Switzerland, Austria and Spain more than 3.500 retail dealers are supplied directly from Geesthacht. In the US and Canada LEUCHTTURM has its own subsidiaries. In the other 80 countries, a close contact exists to customers and the postal administrations. More than 30 assistants within and beyond the company take care of your order. Their work is important, as it is clear to us that good product quality is only one aspect of our performance. The other is the quality of the customer care and the ability of delivery. LEUCHTTURM. The future has begun. When Hamburg businessman Wolfgang Schön joined LEUCHTTURM publishing house in 1959 as a managing partner, the company was already a familiar name in Germany but was hardly known outside the country. Wolfgang Schön had lived in Asia for a long time and had been responsible for representing German trading companies there. He saw that the future of the business lay in the export trade. 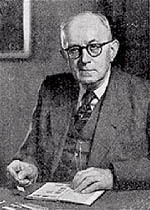 Kurt Stürken was the man entrusted with this important task in 1962. Today, LEUCHTTURM is the biggest exporter of philatelic and coin accessories. For the future it is expected that the demand of the customers for individual problem-solving becomes even more important. For LEUCHTTURM this means being able to deal with questions of the customer and finding adequate solutions. Global activities, product innovation and flexibility when fulfilling customer wishes require huge financial and organisational expenses. To strengthen the strategic position of the company, LEUCHTTURM acquired the rights of the french MOC albums in 1990 and finally in 1997 the KABE publishing house which has reunified both publishing houses established by Paul Koch. The future aim of the investment is the development of our product range and the extension of our know-how. Both for the good of our customer. In the management of the company LEUCHTTURM bets on continuance and stability. The course once adopted by Wolfgang Schön (1914-1996), who made the company known world-wide is continued by the family Stürken. In 1972, Kurt Stürken became the partner of Wolfgang Schön. 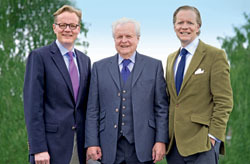 In 1997 and in 2003 his two sons Axel and Max entered into the company as executive partner. Today they are managing the company together with their father. In 1917, Paul Koch, a lithograph and experienced philatelist, and a friend founded a publishing house that produced stamp albums in Aschersleben, Germany. It was named the “KABE” publishing house after its founders, Koch and Bein. Due to financial reasons, however, Paul Koch had to sell the publishers in the 1930s. At the end of World War II, he was able to found LEUCHTTURM Albenverlag in Hamburg with a modest starting capital. Meanwhile, KABE survived WWII under its new owners and was re-established in Göppingen after its nationalisation in the GDR in 1953. There, the company seamlessly tapped into the old tradition of publishing high-quality stamp albums. This was also the main area of business for LEUCHTTURM publishing house, founded in 1948. It was therefore only natural that the owners of KABE approached LEUCHTTURM when the question of succession arose towards the mid-90s and could not be resolved from within the company itself. 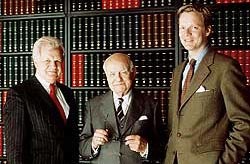 In 1997, KABE was sold in its entirety to LEUCHTTURM, meaning that the two publishers founded by Paul Koch were united. KABE was integrated into the LEUCHTTURM programme as a premium brand, featuring double linen hinges, expertly bound albums and the “bi-collect” system. Even before the takeover, both companies worked together successfully. There was also a long-standing and close partnership between both editorial offices in the development of illustrated stamp albums and annual supplements. KABE had already been using the sheet design of the internationally recognised LEUCHTTURM editorial office for some years. The publication of the supplements for the year 2000 saw the last stage of integration completed with consistent country headings and the outer margin (for all supplements except for Germany, and for collection areas not offered by LEUCHTTURM). This measure made it possible to continue to manufacture KABE illustrated sheets and to make them available to international collectors. All KABE sheets come in their original format, with a linen hinge and typical 16-ring perforations. The collection thus retains its consistent look, and both old and new sheets fit all KABE albums and binders.